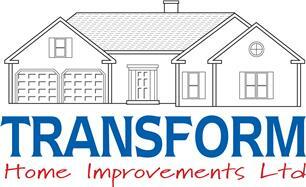 Transform Home Improvements Ltd is a locally established Company with over 35 years’ experience. We specialise in supply and fitting high quality double-glazed pvc-u Windows & Doors, Bi-Fold & Composite Doors, Conservatories, and Roofline. Our company does not employ sales people as the majority of our work comes from recommendations of our satisfied customers. We are therefore able to offer the highest quality products at competitive prices. Customer service prior to and after installation is our priority!